After the horror of a case that nearly cost him his life, Harry Hole left Oslo and the police force far behind him. Now he's back, but the case he's come to investigate is already closed, and the suspect already behind bars. Denied permission to reopen the investigation, Harry strikes out on his own, discovering a trail of violence and mysterious disappearances apparently unnoticed by the police. At every turn, Harry is faced with a wall of silence. But Harry is not the only on interested in the case. From the moment he steps off the plane, someone is watching his every move." Thank you for sending this thick book. I love the series. I know I will enjoy this one. Update: Though this one is huge, the author keeps the same rapid pacing and character development. It keeps me engaged all the way. A birthday surprise to a bookcrosser who enjoys thrillers and mysteries. I saw that you like a few other books by this author and I can say this one is just as good. Enjoy! And happy birthday! Thank you for sending this book! Its definitely something I've been wanting to read after reading other books by this author. 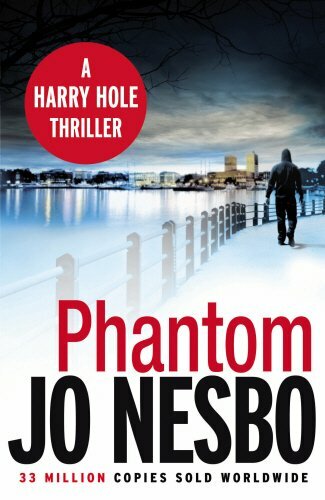 Recently finished this up and like the Harry Hole novels before it, I quite enjoyed this one. Harry finds himself in quite the situation and it seemed like one of his most dangerous one yet. Definitely recommend this one. If you come across this book, I hope it is something that you will enjoy. I look forward to reading your thoughts on this book and finding out where you got it from. Also, you don't have to register to participate, but I do hope you can take the time to check the site out.